These traditional dark wood awards plaques are supplied boxed and complete with struts. They have a rectangular shape with gently curved corners and are 13.25in on the longest side. 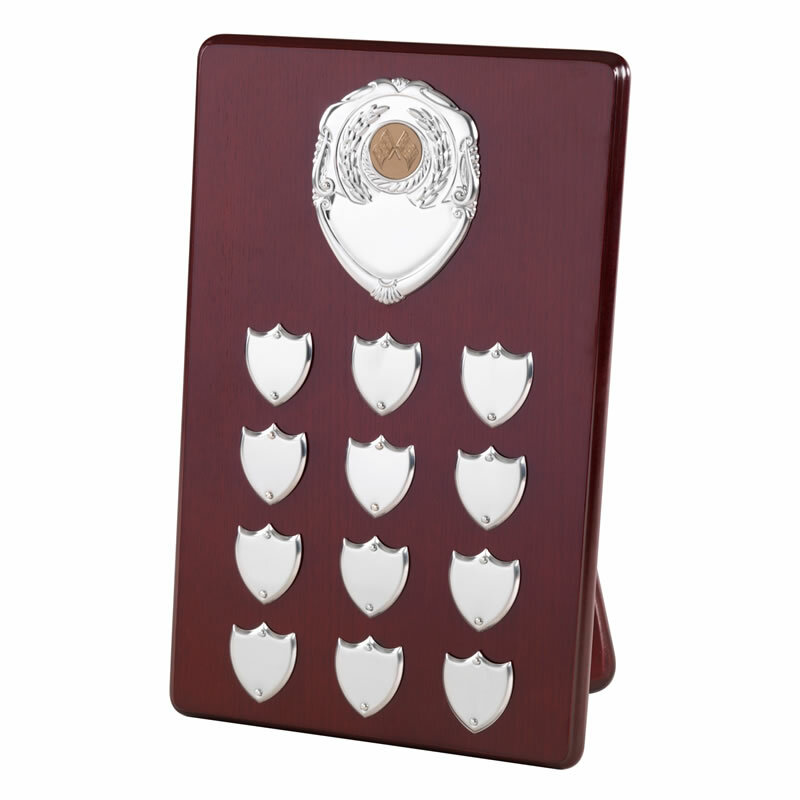 The front of the plaque includes a large centre plaque shield that can be engraved and which also holds an optional 1in sports-specific centre. This 13.25in version of the plaque includes 12 side shields and is offered with low cost engraving of the centre plaque and the first perpetual plaque.